Christian Run Schools In India With A Hidden Agenda ? Since Independence Christian Run Schools have been praised for providing a very high standard of education in India.But in recent years there have been reports where hindu students have been banned from wearing tilaks or any other hindu symbols outwardly like aum pendants or red strings around the wrist especially on Hindu religious days.They are also encouraged to take part in singing christian hymns and celebrate Christmas and other christian festivals but not Hindu. Is there a hidden agenda to convert ? Dr Koenraad Elst explains. We had published Channel 4 at Hindu World Vision. We then used strongest words of condemnation though after putting LTTE’s despicable Violations so it not end up giving new lease to LTTE. I was checking Population census shown at recent Ch4 Video “Fresh evidence” while I stumbled upon this Video. I did the check because I became sceptic regarding some seeming facts that could not be ascertained. The Census discrepancy shown I remembered was already trumpeted by a Christian Missionary whom I know as a Liar and propogandist- a Liberation theologist. That was when I chanced this Video after checking how many did leave and how many survive? We would be most relieved if what is shown in this video turns out to be the real truth. Because I know from experience that the whole civil war was started with feeding on Outrage for July 1983 riots. 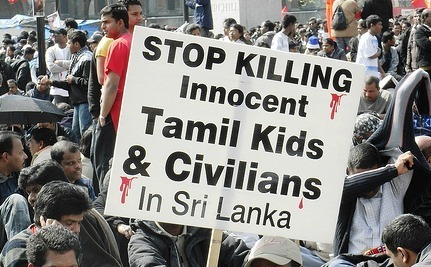 Is the LTTE Remnants magnifying or even inventing ‘War Crimes’ to resurrect itself? Worse still- is the LTTE attempting to drop roots here in India? Though its possible detractors could say all witnesses arraigned were under pressure in this Video – this Documentary too I feel obliged to Post – since both sides needs to be heard fully. Channel 4 has once again comeup with a report that Tamils are increasingly charged detained and tortured without trial on unsubstantiated and flimpsy grounds of ‘association with the Tamil Tigers’. A U.K. group quotes how even women are not spared and atleast someone in a family is held without charges. Typical of such fascist regimes like at South America- many detainees’ families have complained that scores of such victims have simply gone ‘Disappearing’. Behind the smiles hides a Sadistic Regime says the Channel anchor and how Sri Lanka is to face an imminent scrutiny by Human Rights Organisations with United Nations Committee. Some 12 Human Rights groups woulld place their Fornesic documents in its study about 60 specific cases of torture that it tells still goes on years after the end of a Civil War which again involved a War Crimes tragedy yet to be fully investigated and a brutal regime that could be behind a facade of apparant Reconcilation and Rebuilding efforts. DETAINEES in Sri Lanka are routinely tortured, but the government is not credibly investigating the allegations, Amnesty International says. Sri Lanka has legislation against torture, but no effective way to implement it, Yolanda Foster, the rights group’s Sri Lanka expert, said today. Amnesty International issued a report on Sri Lanka ahead of a review by the UN Committee Against Torture tomorrow. “There is no longer an independently functioning unit investigating torture allegations levelled against the security forces, which calls into question Sri Lanka’s commitment to ending this abhorrent practice,” Ms Foster said. The rights group accuses police, military personnel, paramilitary forces and prison guards of routinely beating and torturing detainees. It said that during the first 14 years of the anti-torture legislation, only three prosecutions were reportedly made under the police Special Investigation Unit, which has since been sidelined. Amnesty International said that in 2008, the government claimed 42 indictments against 90 people stemming from torture investigations in the prior four years. But the group said most of those cases never went to trial. The group said detainees have been held arbitrarily for prolonged periods, sometimes years, without charge and that most of them are eventually released for lack of evidence. It said those tortured include criminal suspects and people with alleged links with the now defeated separatist Tamil Tiger rebels. A number of suspects have died while in police custody in the last few months. Last month, people attacked and seriously damaged a police station after a youth died while in custody. Freedom from Torture has used forensic methods to document evidence of torture through the production of medico-legal reports (MLRs) for use in the context of asylum claims by torture survivors who have fled to the UK. The 35 individuals whose MLRs were reviewed in Freedom from Torture’s study were detained in a range of facilities around Sri Lanka and all report being targeted due to an actual or perceived association with the LTTE, often through family members, or an opposition political party. It has been widely reported that the LTTE forcibly recruited Tamils into membership and other support roles during the civil war, suggesting that a very large proportion of the Tamil population is at risk of being targeted on this basis. Hindu and Jewish civilisations enter the third millenium that would let them survive it only if they made the right choices- They must at once embark on Colonising the Space together and Militarise to defend and secure Homelands below on earth. Both India and Israel faces an Existential threat they may or may not surmount by the close of this century or two at most. But like Drones that defeated the Al Qaeda, since apocalyptical death cults couldn’t anticipate the advent of the scientific minds, this Space leap might hold the key. A friend asked- are we …not abandoning the good fight and the Holy Lands dear to our two civilisations? Perhaps not. On the contrary that might be the key to obtain Nuclear missile attack immunity- with a safety valve. Yes- we do retreat by escaping to Space. But that also confers a Infinite Strategic Depth. True, Islamists might over run homelands. But you completely take their Objectives out of Equation when you colonise and disperse in Infinite Outer Space. There are news that are only recently confirmed by Hubble and Kepler telescopes that New earth like Planets teem out there even within a radius of just 20 Light years! Thats even with present technological capacity is possible to be colonised within a century or two. When you colonise Space you simply become Immortal. Stay here- chances are 50-50 that u might become roasted in Jihadi cappuccino cofee. We might become Iranian and Pak Nuke toast. So which offers the better alternative? Hindus must stop being a Billion people centred on India alone and must spread out. Both Israel and India might run risk of getting nuked out some day. If that happens you simply become an extinct species with few Diaspora that will eventually disappear. I have thought deeply and this is The Solution. 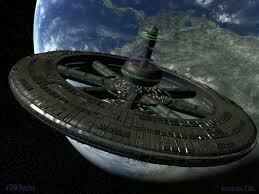 Colonising Space also makes u Space War capable- neutralises Pak or Islamic Nuke missile threat. This is what Jews and hindus must work to accelerate. The Space Star Wars superiority will ensure both Homelands safety and Future for these tow besieged entities. Space must be conquered. That will compensate our missing the Industrial Revolution and lack of Colonies that once we did have at Far East Asia. This time we have an edge. Space Colonisation will also propel India right into League of most Advanced economies. So this imperative- before demographic dividend wears out that we Hindus and with Israeli technology and pooled resources spread out as Pioneer colonisers of Space. Isavasopanishad says this on this matter- ‘All this, Vastness know dear..is the Lord Himself spread out and know my dear is for Inhabitation”. Godless Communists? China “orders” Dalai Lama to better reincarnate at ‘approved’ site!